Our staff writers recommend CDs by One Direction, Paramore and Maps & Atlases. Find your page-turner. Our staff writers recommend Ophelia and Thirteen Reasons Why. Essay contest winners wrote about being diagnosed with cancer, a father’s death and biking to lose weight. These are letters we received about stories that appeared in the May – June 2012 issue of L.A. Youth. “My lady: I pray this letter finds you in a place of safety.” From the first sentence, I was drawn into a world so full of love, insanity and deception that it could only have originated within the mind of Shakespeare. Only it’s not Shakespeare. 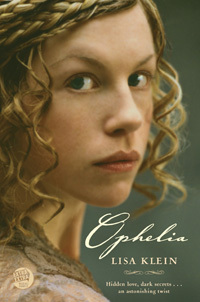 Ophelia by Lisa Klein is a retelling of Hamlet from Ophelia’s perspective. I hadn’t read Hamlet before I read Ophelia, so I was glad that it wasn’t a sequel. If you have read Hamlet, you’ll probably notice that Klein has changed the time period. Ophelia is set in the 17th century, not the middle ages. If you want to read an exciting story that was written by Shakespeare but don’t want to claw your way through the original, you can read this. This book is easier to read than Shakespeare because the language is similar to how we talk today and the format is a novel instead of a play. After the exciting prologue, the story goes back a few years. It begins when Ophelia, her father Polonius and her older brother Laertes join the court of King Hamlet and Queen Gertrude at Elsinore. Through her brother, Ophelia meets Hamlet, son of the king and queen. For her, it’s love at first sight. For him, she’s just Laertes’ scruffy kid sister and he couldn’t care less. For years her crush lasts but he barely notices her. In the meantime, Ophelia’s father sends her to “become a lady” and she eventually becomes the most valued lady in waiting of the queen. The story really picks up shortly after, when Ophelia sees Hamlet again, now that he’s returned from university. When Hamlet sees how Ophelia has changed, he immediately falls in love with her. Against all odds, they try to be together. One evil deed (if you’ve read Hamlet you know what I’m talking about) causes their love and their lives to shatter. Bitter lies, cold truths, murder and plots of revenge follow. Ophelia is forced to choose: live or love? This choice sets her on a path to find out who she really is. I was excited to see her becoming a stronger person. She went from doing anything and everything for Hamlet, which I thought was lame, to doing things for herself. I liked that she didn’t let herself be a doormat anymore. I loved reading Ophelia. Even though the story was set 400 years ago, Hamlet and Ophelia went through a lot of things that I think are relevant to myself and other teens these days: wanting to grow up, the need for parents’ respect and approval, and love. If you’re a romantic or love Shakespeare or suspense, you’ll probably like this book. 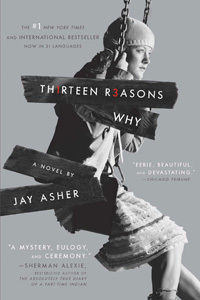 While participating in my library’s teen book club last summer, I came across Thirteen Reasons Why by Jay Asher. Once I started, I read it faster than any book I’ve ever read. The novel is about high school student Clay Jensen, who finds a box of seven audio tapes on his front porch one day. When he listens to them, he is surprised to hear the voice of Hannah Baker, his former classmate and crush who killed herself. Clay listens carefully as Hannah’s voice explains that every side of a tape contains a reason why she killed herself, and each reason happens to be someone from school. She also says that every “reason” would receive the tapes. In addition, Hannah provided all of the listeners with a map in their lockers. Each map contains a bird’s-eye view of the city with stars marking important locations, which Clay visits as they’re brought up on the tapes. He doesn’t know what he did to her, but listening to the tapes over the next few days changes him. Clay becomes more aware of how other people feel. Prior to Hannah’s suicide, Skye, a girl he had a crush on, “insisted on being an outcast one day” and stopped talking to people. No one knew why. Knowing that Hannah committed suicide after isolating herself from other people, Clay realizes he doesn’t want to risk losing another friend, so he decides to reach out to Skye. Before reading this book, I hadn’t deeply considered how my actions can affect others. But now I am more aware of what I do and how I do it. If I notice that someone is keeping to themselves, I make sure that I talk to them, so they don’t feel like they’re alone. I try to do what I believe Hannah should have done by staying optimistic and helpful, to ensure that I have no regrets.